I was talking to one of my friends about their love for peanut butter and jelly sandwiches. 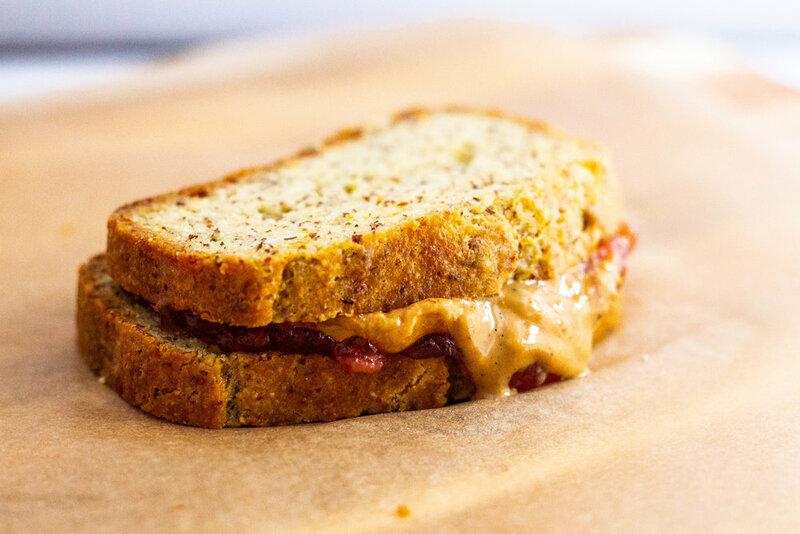 But what's the first step in making a keto friendly PB & J? The challenge lies in the bread. 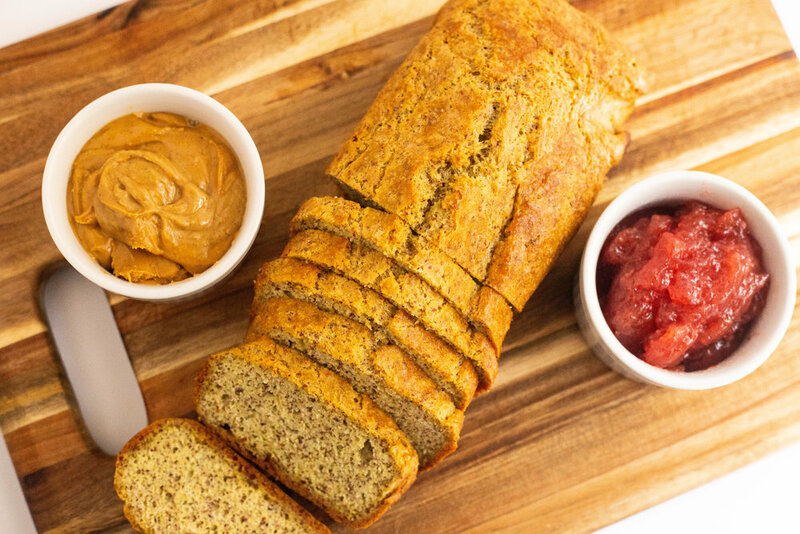 Luckily this almond bread turned out perfectly and I was able to use some low carb jelly and Perfect Keto Nut Butter for the spread. Preheat the oven to 355 degrees Fahrenheit. Mix the eggs in a bowl on high for up to two minutes. Add the melted coconut oil and melted butter to the eggs. Continue to mix. Scrape the mix into the loaf pan. Bake for 45-50 minutes (or until a toothpick comes out clean).